Below you fill find all funeral homes and cemeteries in or near Texas City. Suburbs of Texas City: West Texas City. 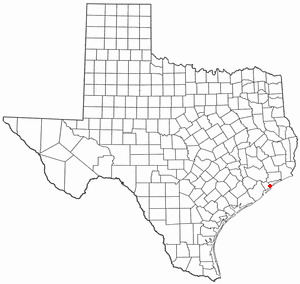 Texas City is also known as: Galveston County / Texas City city. Their current mayor is Mayor Matthew T. Doyle. Zip codes in the city: 77590, 77591, 77592. Texas City has been featured in films like: Powder (1995). Some of the notable people born here have been: E. J. Whitley (american football player), Claude Terrell (american football player), Wes Hamilton (american football player), Ben Emanuel (american football player), Mike McFarland (voice actor and television producer), Anthony Dickerson (american football player), and Robin Armstrong (physician and politician). It was noted by Topeka Capital-Journal on March 26th, 2019 that Allene "Ann" Broxterman (Martini) passed away in Topeka, Kansas. Ms. Broxterman was 59 years old and was born in Texas City, TX. Send flowers to share your condolences and honor Allene "Ann"'s life. It was reported by Waushara Argus on October 4th, 2018 that Edward S Tanner died in Neshkoro, Wisconsin. Tanner was 81 years old and was born in Texas City, TX. Send flowers to express your sympathy and honor Edward S's life. It was reported on March 22nd, 2018 that Patty Lou Guedin (Streeter) passed away in Texas City, Texas. Ms. Guedin was 81 years old and was born in Topeka, KS. Send flowers to express your sympathy and honor Patty Lou's life. It was reported by Texarkana Gazette on December 8th, 2017 that Clarence Edward Pierce died in Texas City, Texas. Pierce was 60 years old and was born in Texarkana, AR. Send flowers to share your condolences and honor Clarence Edward's life. It was revealed by The Villages Daily Sun on October 3rd, 2017 that William Roy "Scoop" Felkner passed away in The Villages, Florida. Felkner was 78 years old and was born in Texas City, TX. Send flowers to share your condolences and honor William Roy "Scoop"'s life. It was reported by Texarkana Gazette on May 29th, 2017 that June T Garrett passed on in Texas City, Texas. Garrett was 82 years old. Send flowers to express your sympathy and honor June T's life. It was revealed by South West Times Record on January 3rd, 2017 that Johnny R Reeves died in Ft Smith, Arkansas. Reeves was 68 years old and was born in Texas City, TX. Send flowers to express your sympathy and honor Johnny R's life. It was disclosed by Topeka Capital-Journal on August 27th, 2016 that Betty Jo Theobald (Mast) passed away in Topeka, Kansas. Ms. Theobald was 80 years old and was born in Texas City, TX. Send flowers to express your sorrow and honor Betty Jo's life. It was disclosed on March 1st, 2016 that Roger M "Pappy" Brown died in Texas City, Texas. Brown was 95 years old. Send flowers to share your condolences and honor Roger M "Pappy"'s life. It was disclosed by Tampa Tribune on October 22nd, 2015 that Retha F Miss Sapp passed on in Lake Placid, Florida. Sapp was 95 years old and was born in Texas City, TX. Send flowers to share your condolences and honor Retha F Miss's life. By 1939 the population of Texas City had increased to 5,200. During the war, Texas City experienced remarkable growth. Since the Axis powers threatened England and Holland , the only two sources of tin smelting in the world, the Defense Plant Corporation under Jesse H. The explosion aboard the 'Grandecamp' ignited fires aboard the other two vessels, both of which exploded later that morning. Jones decided in 1940 to build a tin smelter in the United States. The official website for the city of Texas City is http://www.texas-city-tx.org/. And as people saw the military funeral procession ... Cannaday touted the city's workforce. "We have more jobs than people," she said about Irving. "And we are the third- largest employment center in North Texas." Oracle's Paulino also said a few words. Carnes Funeral Home, Texas City, TX : Reviews and maps - Yahoo! Local, 409.986.9900. Get Ratings, Reviews, Photos and more on Yahoo! Local. Funerals in Texas City, TX on Yahoo! Local Get Ratings & Reviews on Funerals with Photos, Maps, Driving Directions and more. Carnes Funeral Home is centrally located in Galveston County, serving the communities of Texas City, La Marque, Santa Fe, Dickinson, Hitchcock, and the surrounding areas. We work with local florists and flower shops to offer same day delivery. You will find budget sympathy flowers in Texas City here. Our funeral flowers are cheap in price but not in value.